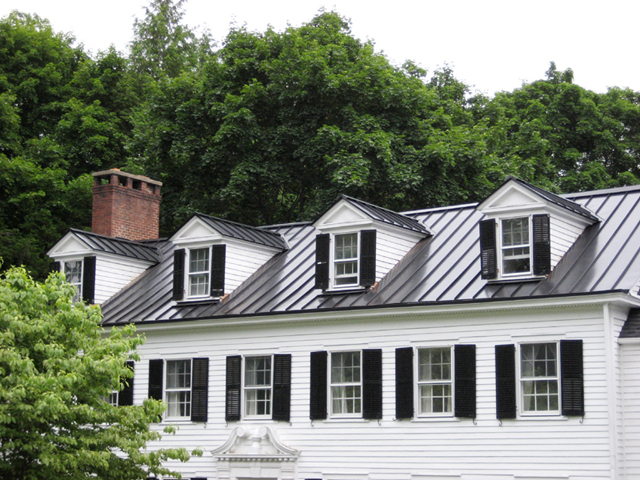 Metal roofing has been gaining a lot of popularity lately and for good reason. These roof types offer protection like no other and with the exceptions of hurricanes or tornadoes, are guaranteed to guard against any weather that might be thrown its way. Although the majority of home owners tend to stick with the more traditional style, we have learned from experience that metal roofing is often better! There are 3 big misconceptions in regards to a metal roof. One is the appearance and the limited amount of options when compared to traditional asphalt roofing shingles. While you may have a slightly smaller choice when it comes to styles and colors, we do offer a wide variety that you might be surprised even exist. The roofing materials and colors we have are only offered by brands that are of the highest quality that you can find. The second is the perception of a high metal roof cost. Our prices are lower than you might think and we will happy provide a free estimate for any and all projects you may have in mind for us. In addition, roof cleaning & maintenance will be close to non-existent when choosing these types of roofs. Nothing will stand a chance and will add years as opposed to more traditional roof types. You may be thinking that metal roofing installation might be too big of a project to tackle at this point in time and you don’t want to tear down your existing roof. This is the third misconception and many people might not realize it, but metal roof panels can be installed right over your existing roof! This will eliminate any excess and unnecessary waste that piles up every year from traditional roofing materials. The additional layer provides even more protection and the combination of the two types of roofs will be enough to last a lifetime. All of our metal roofs have a number of options in regards to warranties and go up to a lifetime guarantee! Contact Professional Roofers Co. a call today for a free estimate!